Business Car / Visitenkarte - von Werlhof könig. Sächs. 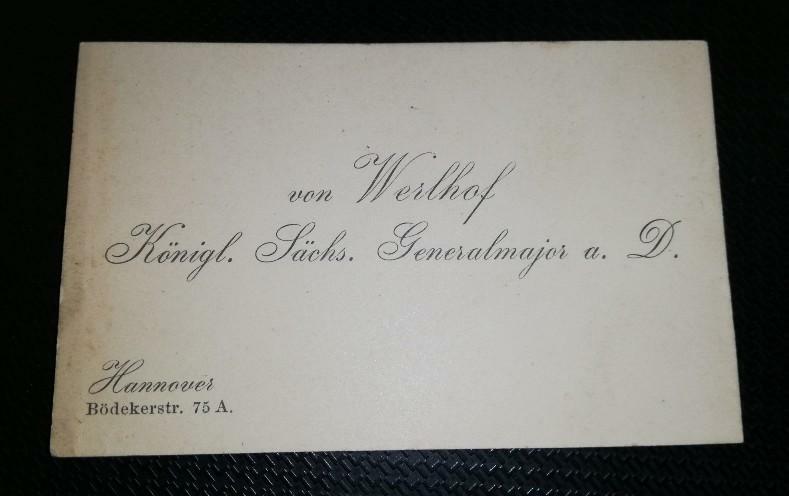 Generalmajor a. D.
Fond this card in an old book. But I don't found good informations about him. Maybe anyone here knows more. Ernst Ludwig Wilhelm Heinrich von Werlhof. *20.2.1853 in Celle, †25.12.1921 in Dresden. 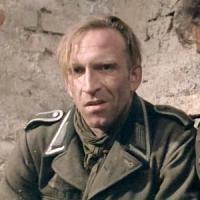 He entered service in 1873 and was placed zur Disposition with Charakter as a Generalmajor on 31.3.1907. From 1902 to 1907 he was a military member of the Reichsmilitärgericht. He served in the same capacity during World War I, receiving the Saxon Kriegsverdienstkreuz on 3.6.1916 and the Komturkreuz of the Albrechtsorden on 15.5.1917. Wow Dave that is amazing. Thank you very much!